Good afternoon everyone! I hope that this post finds all of you doing well. 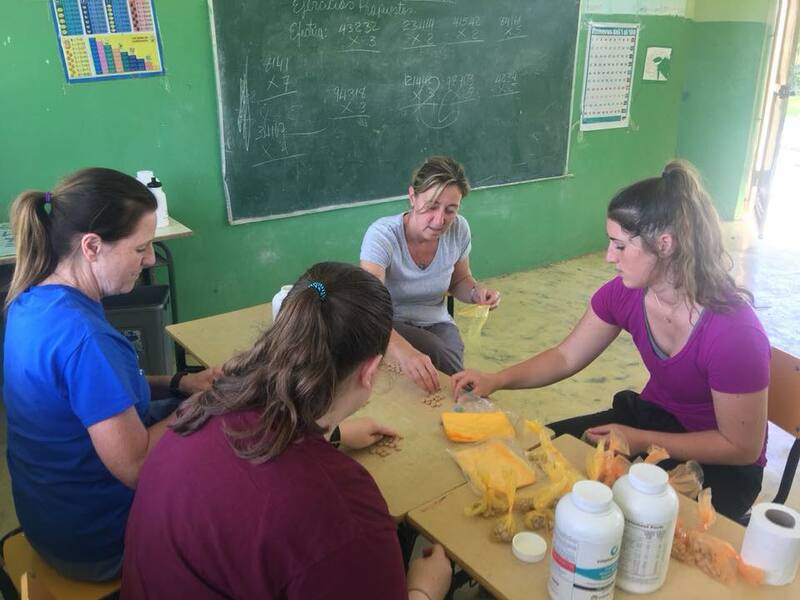 We have been busy here in the DR keeping up with our International Volunteer Programs, construction of the new clinic and slow (but steady) progress with Montessori curriculum in El Chivo. Construction of the new medical clinic! Thanks to donations from the K of C council at Kailey's home parish and other donations, we have another $5,000 ready to be invested into the construction of the new medical clinic. Construction began last week and we are all SO EXCITED to see the walls of the clinic go up! 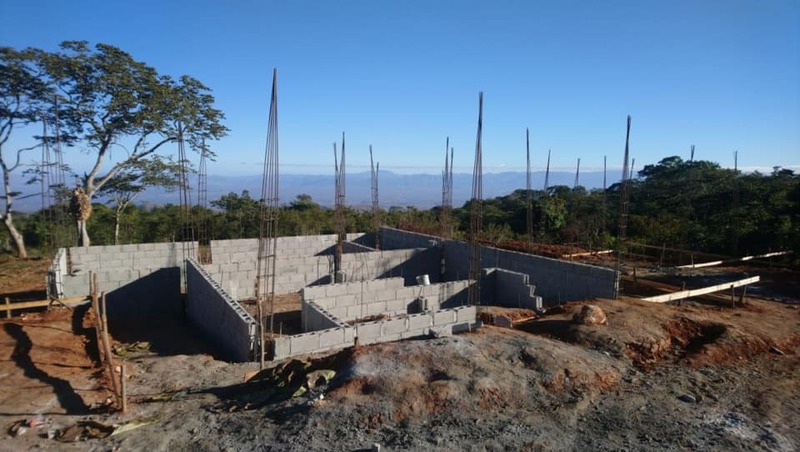 To give you an idea of construction costs, $3,000 USD purchased truck loads of cement, sand, rebar and cement blocks (4,000 cement blocks to be exact!). ​Dr. Angel reached out to a local avocado farm operated by Dominican business the Macapi Group. They have owned and operated the avocado farms in the region where our clinic will be for generations now. After several conversations and a site visit to the new clinic, they agreed to help us with the transportation of our building materials. This will save the project thousands of dollars in the end as each individual truck charged close to $400 USD for delivery to the work site. So instead of paying for transportation, Macapi has agreed to assist with the transportation of the building materials with their own vehicles which are capable of climbing the mountain. If you have a moment, please check out Macapi on Facebook/Instagram/and in the grocery store... they are an international company with a big heart, genuinely caring about the communities where they grow their produce. 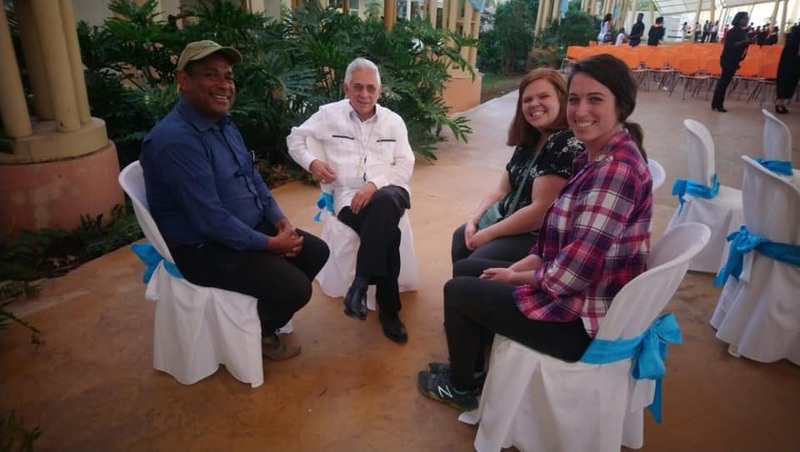 Kailey, Mr. Castillo from the Macapi Group and two visiting students. Beautiful shot of the new clinic taken by drone. Photo Credit to Ramon, the engineer of the project. As we continue to push forward with fundraising, we have two exciting announcements! 1. Building Bridges of Hope was selected as a partner organization for the 2019 Mission Appeals in the Diocese of Grand Rapids!!! 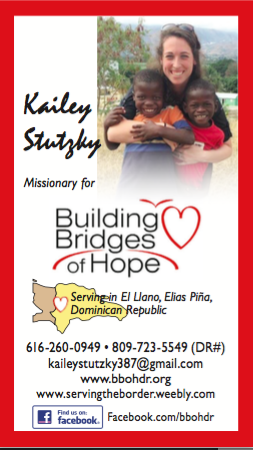 Kailey will be speaking at 3 parishes in the Diocese of GR about our new medical clinic and taking up a secondary collection at each location. This is a DREAM of ours to participate as an official partner in the Mission Appeal. Please keep this intention in your prayers, that the appeals will be successful and provide for the next phase of construction. -For someone trustworthy to help us with our kids during the day. It's becoming stressful to balance work needs and family needs. Please pray that someone comes into our life to love on our kiddos while we are at work. -For peace and patience while teaching in El Chivo. Things are going well overall, but progress is slow and steady which can become tedious. -For true rest during the coming month, Time to rest, recharge and refocus on Him. Hello everyone! We pray that this update finds you doing well. The last couple of months have been a whirlwind for us here in the DR. January was busy with two groups. First we hosted Rockhurst University who returned to our program after several years off. It was SO GOOD to see them again! The group was a wonderful blend of personalities and servant hearts. We appreciated their time and talent immensely. Up next was the St. Catherine of Sienna group of 27. With so many volunteers the week looked drastically different from our normal volunteer program. 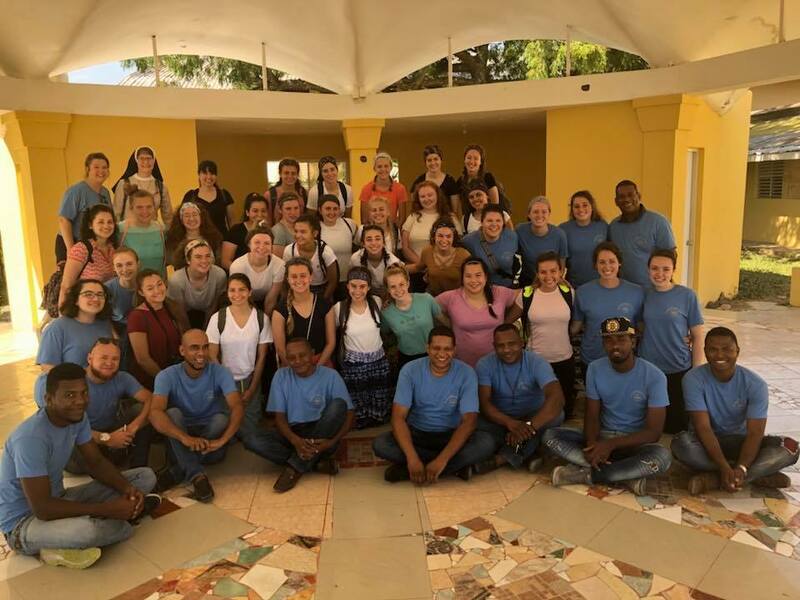 This large group stayed at a retreat center in Las Matas and we had a group of returning volunteers assist us as Work Site Leaders. The week was PHENOMENAL and we accomplished SO MUCH together! So far in February we have only hosted one group -- and they were from our hometown! The St. Mary Pinckney group is always a pleasure to have here. And as a special treat, my mom came as the group leader. It was a phenomenal experience and the kids also LOVED being able to see Grandma. This semester Jessica has been teaching in El Chivo as we transition into a Montessori school. It has been a challenge to say the least but the children have adapted very well. We start the day off with more traditional oral teaching and book work, followed by the Montessori work trays focusing on fine/gross motor skills, pre-writing skills and hand-eye coordination. Please keep the school in your prayers! We have 42 kids who come from challenging backgrounds.... which can make the school day challenging as well. This program is 100% funded privately by BBOH donors - thank you to those who have donated to this school year! 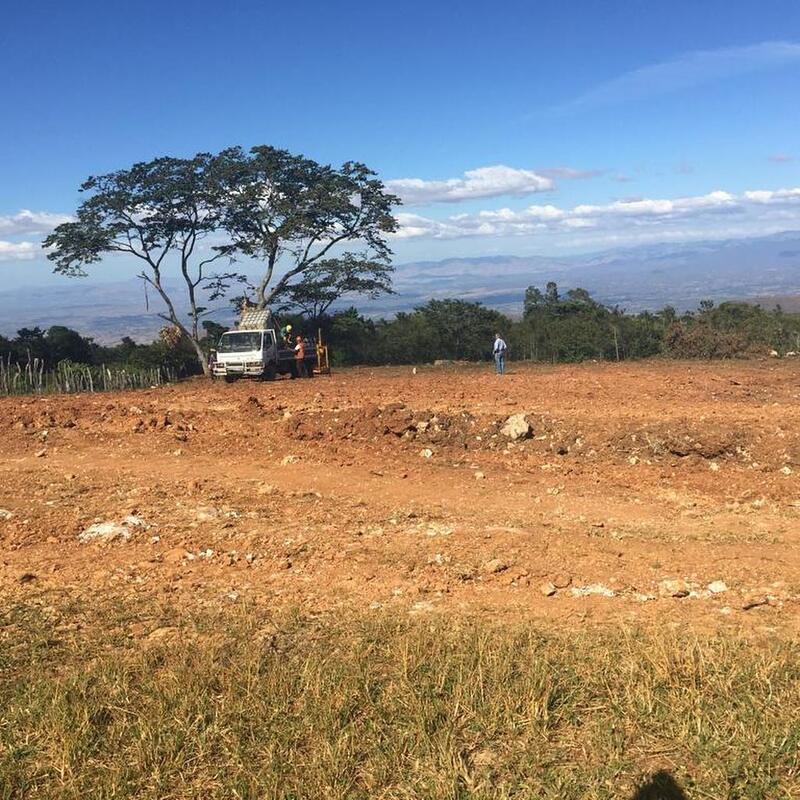 The construction of our new medical clinic in Rosa la Piedra is underway! We broke ground in December and have continued steadily. Our initial funds (roughly $20,000) have been spent on the land study, excavation of the land, rebar and pouring of the cement footings. Construction is currently at a stop while we raise the next chunk of funds. 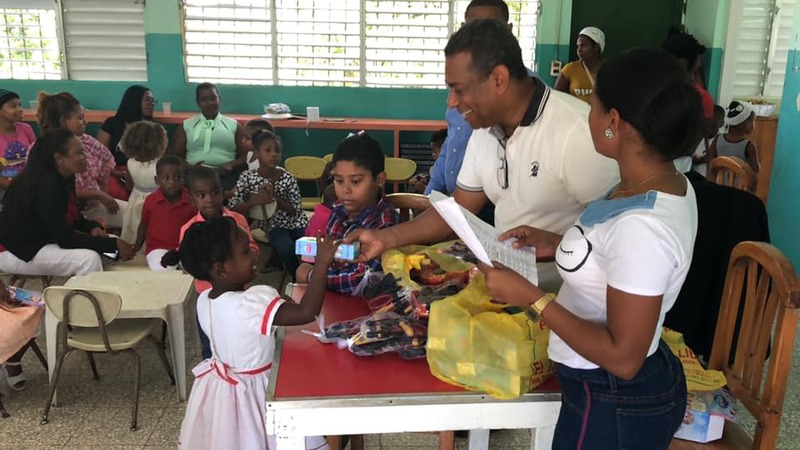 We have reached out to Cross Catholic International (the same org that partnered with us for a vehicle for El Chivo Preschool) and with the Knights of Columbus at Kailey's home parish (St. Pius X in Grandville). We will be reaching out to more K of C groups soon and asking for matching funds to further multiply the work of the KofC group from St. Pius X. If you or someone you know is a Knight and would like more info, please let us know! All in all, we are doing well -- thanks be to God! The next month will be spent with our spring break program (St. Mary Student Parish at the Univ. 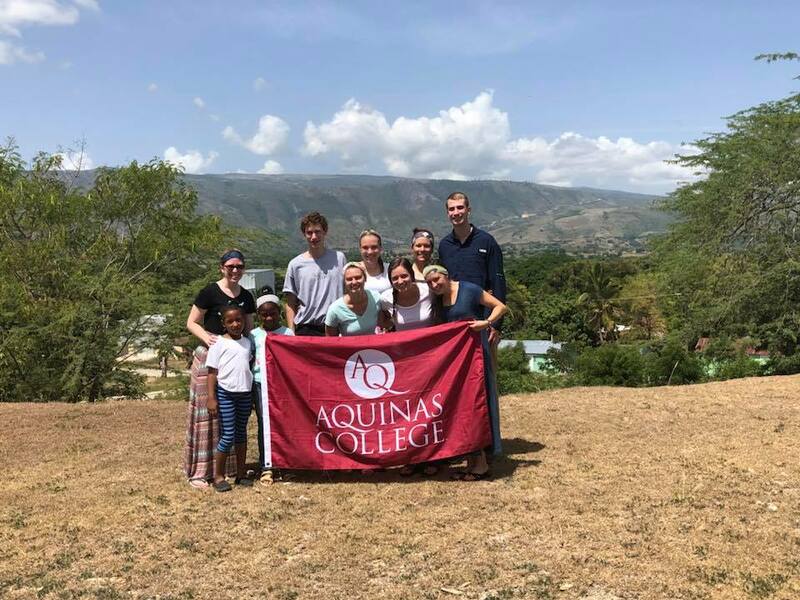 of MI and Aquinas College), followed by preparations for summer internships and work teams. Never a dull moment around here! Thank you to everyone who has donated to our family, to the mission and to the many projects that we have running. We wouldn't be able to do with without you! Please keep the steady stream of prayers coming as well.... they sustain us! And please be assured of our prayers for you as well. 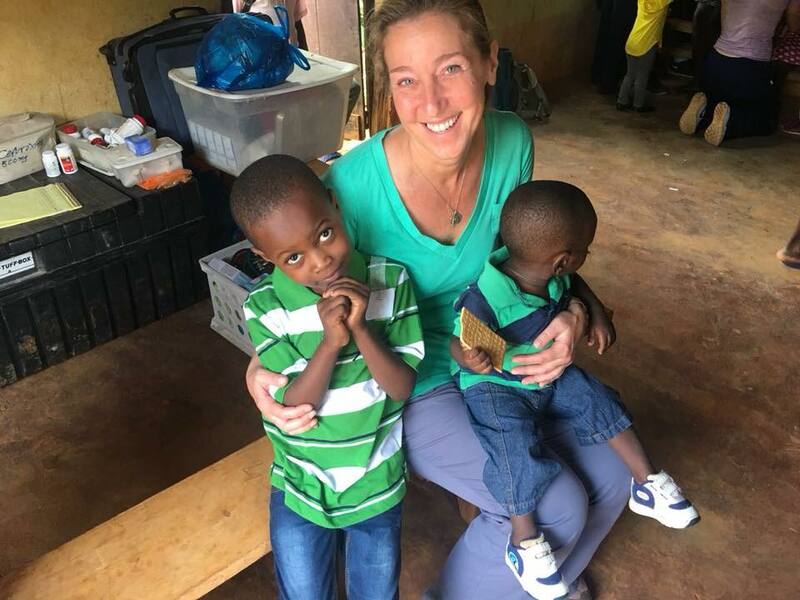 --For our children as they continue to adjust to life in the DR. Emy loves spending time with her friends here but it has been harder for Ben to make solid friendships. He is participating in a karate class, hoping to make some friends. Please pray that the Lord sends him a kind friend and eases his loneliness. 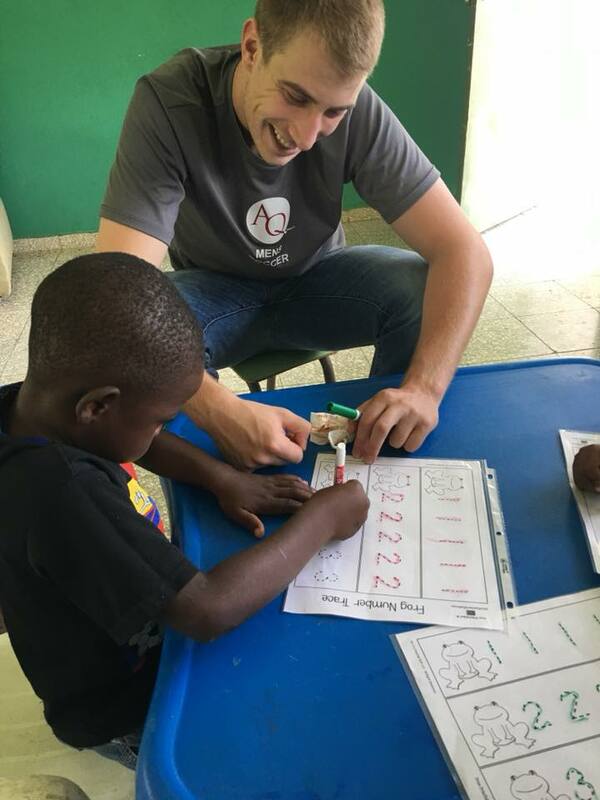 --Please pray for balance within our household as we continue to navigate homeschooling, family time, teaching in El Chivo, administrative duties, the new clinic, etc. --For someone we can trust to help with the care of our children during the work day. We were blessed for 6 weeks with two different people (shoutout to you Olivia and Katelyn!!) who came to help us with our children. But we don't have anyone here right now and still don't have a long term plan in place. --That as a team the leadership of FUMSIL and BBOH can remain focused on the tasks the Lord has assigned us. Construction of new med clinic; John blessed us yet again with his talents! Hand eye coordination activity at the preschool. ​Merry Christmas and Happy New Year! We are so excited to be back in the Dominican Republic. We arrived back on Dec 9, 2018. Our first few days were spent getting re-acquainted with town and seeing old friends. 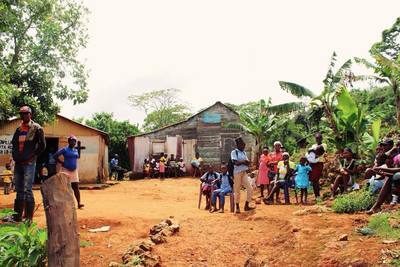 The kids had a few teary moments as the reality of living here in the DR became tangible. Please continue to pray for their little hearts, that they can re-establish stability after the craziness of the last 12 months. 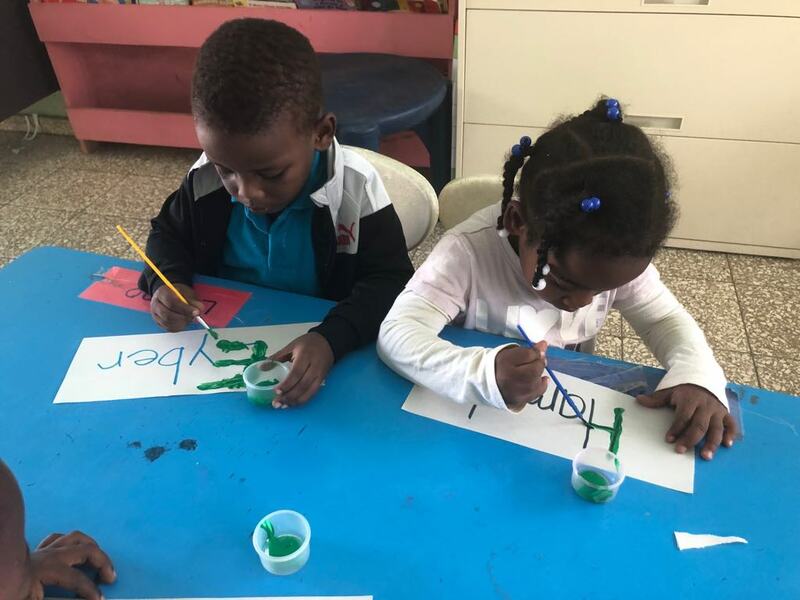 Thankfully, after a few holiday parties with friends and visits to their favorite park, they have become more settled into life here in the Dominican Republic. 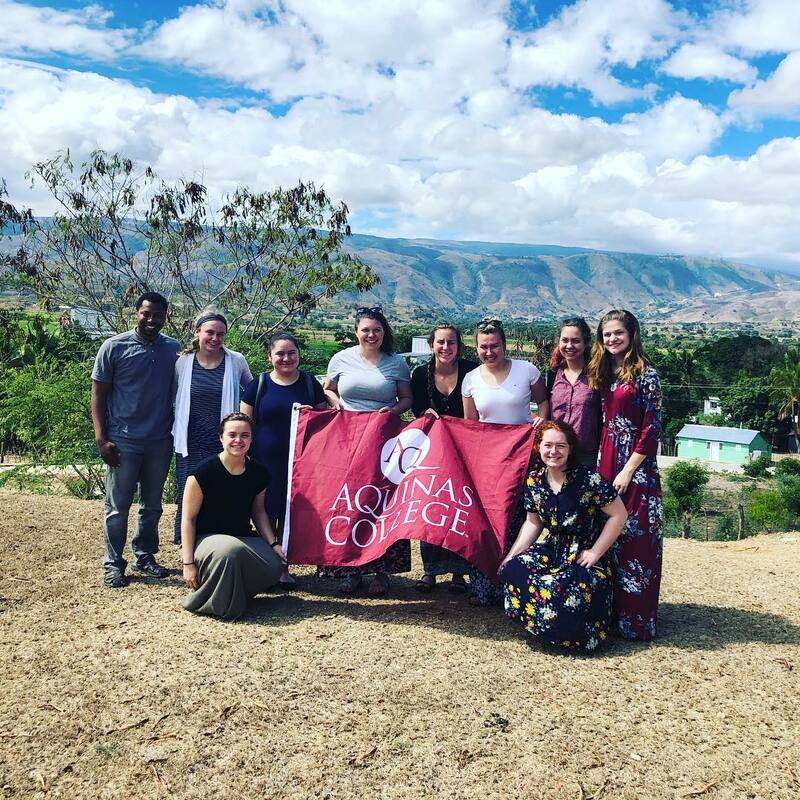 Our medical coordinator, Kailey, arrived the next week and we hit the ground running with meetings and preparations for the new medical clinic in Rosa la Piedra/Calimete region. One of the most important meetings was with the Bishop of our Diocese, Monsignor Jose Grullon. He is a very kind man with a great sense of humor. I always go into meetings like this one super nervous but then I am put at ease by his gentleness and ability to make us smile. With Bishop Grullon's blessing we are moving forward with the new medical clinic! We are BLOWN AWAY by the support for this project. Thank you to everyone who has taken the time to hear our hearts for this area, donated to the cause and encouraged us to push forward. The fundraising event in Grand Rapids in November was hugely successful. In the end, we've raised roughly $20,000 for the clinic so far! With this first installment of funds we are preparing the land, laying the foundation and raising some walls. We are reaching out to other organizations and researching grant opportunities to find a matching grant to cover the remaining funds needed. If anyone has any leads on grants or private donors who would be interested in this type of thing, please reach out to us! 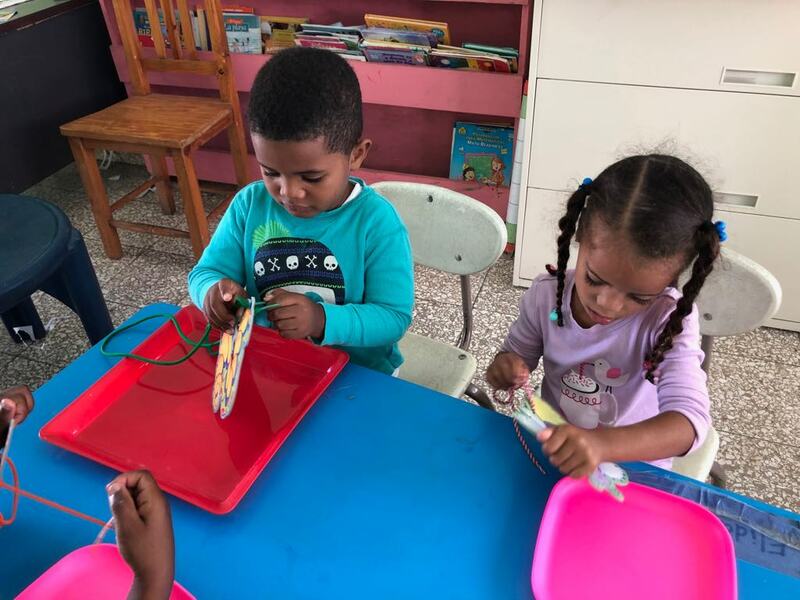 On December 20 we celebrated Christmas with our preschool in El Chivo. This was a joy and super fun occasion for our family. Ben and Emily loved being in the school and we enjoyed seeing everyone again. 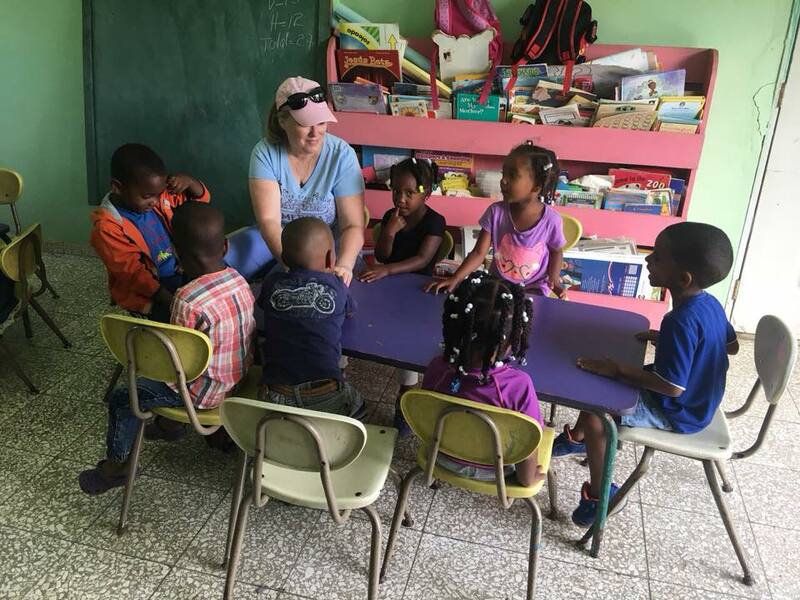 Starting next month (Jan 7), Jessica will be teaching in El Chivo and helping with the transition to a Montessori-style preschool curriculum. We are blessed to have Olivia who will be here for 2 weeks and Katelyn who will be here for 3 weeks to help us with the kids. This will be particularly helpful as Jessica will be at the preschool most days while Kailey and Adam will be at the construction site frequently. Eventually, our vision is for Ben to accompany Jess at the school several days a week so that he can practice Spanish. Our Christmas Eve and Christmas Day were very different from years past. We obviously missed being with family but also tried to make the best of it. On Christmas Day we invited other missionaries in San Juan de la Maguana to come over to watch the Polar Express. It was special to feel so warmly received by the other missionaries here. Their presence in our lives has helped our family's transition tremendously. On January 5 we begin one of our busiest seasons with volunteers. Please keep us in your prayers! We have Rockhurst University in January, then the St. Catherine of Sienna Academy. In February and March we will host St. Mary in Pinckney, Aquinas College and St. Mary Student Parish of Univ. of MI. During this time of volunteer programs, construction and family transitions we invite you to follow our Facebook page (click here to see it!) so that you can see photos and updates in real time. We will continue to update the blog monthly as well. 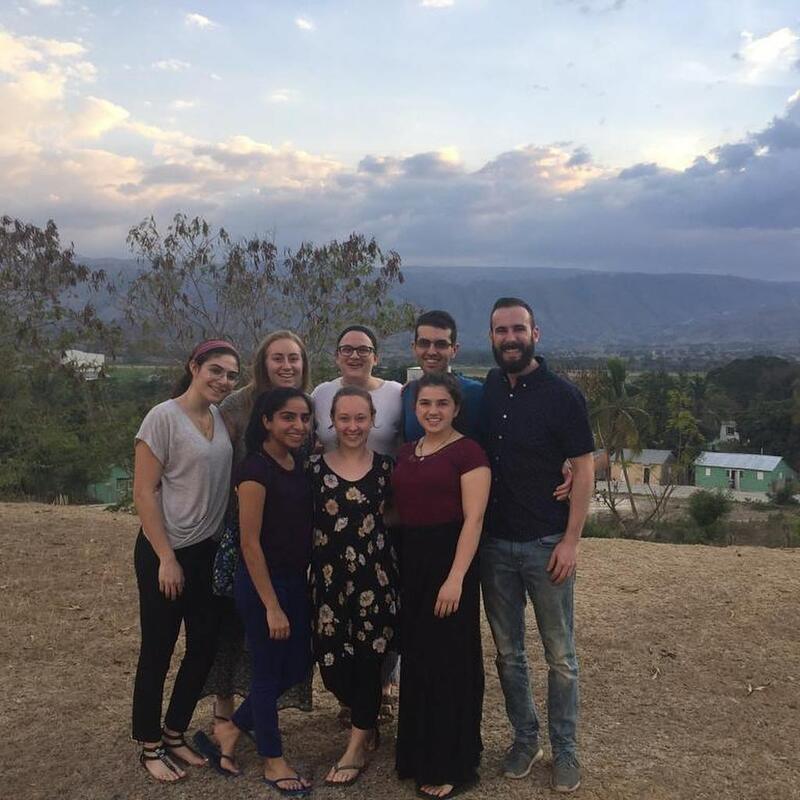 We are grateful for the support team that has joined us on this journey which allows our service in the Dominican Republic to be possible. You have stood by our side as we struggled in the States over the last 12 months and have been such a source of encouragement. Thank you so very much! We sincerely could not do this without you! 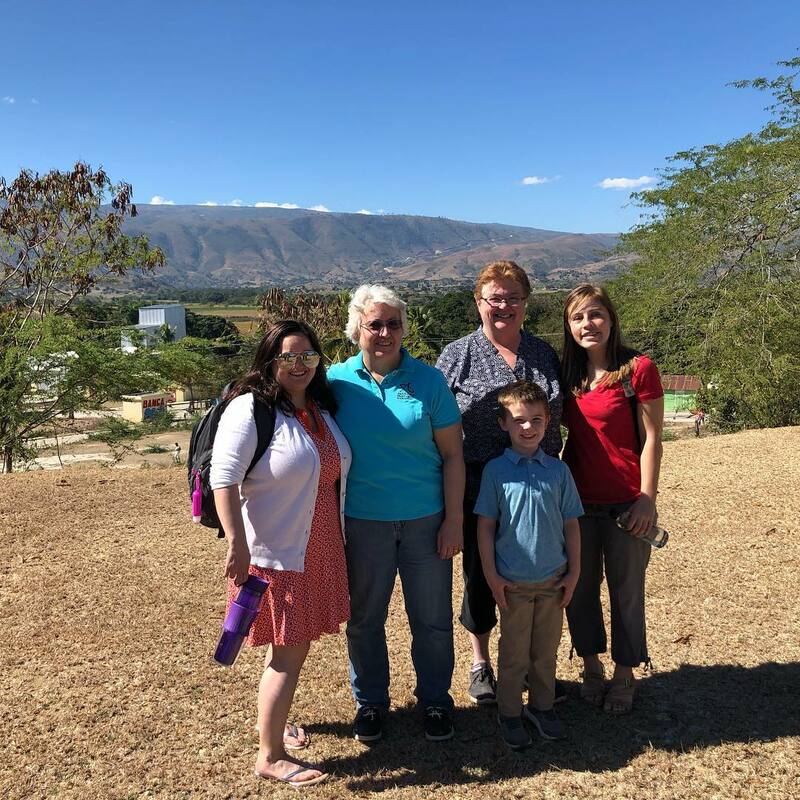 -For our family as we re-establish stability for our children, for our new homeschooling journey, and for even more transition in January when Jessica begins helping in El Chivo preschool. -In thanksgiving for two friends who are coming in January to help us with the kids!! And that God would send the perfect person to continue helping us for the following months. 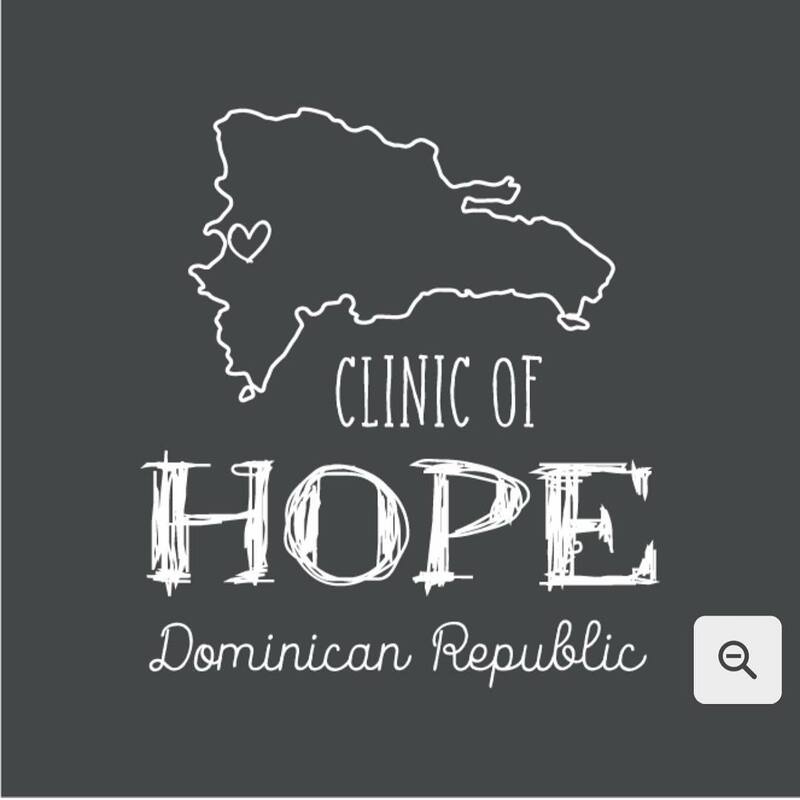 -For favor and blessings on the new construction project, especially for the ability to complete the budget and therefore build the WHOLE clinic at the same time. -For greater patience and understanding of ourselves, our children and one another as we continue to walk this journey of mission. Well folks.... we had a flight itinerary and a concrete plan for when we would be returning to the Dominican Republic. Our flight schedule had us departing Detroit last week at 6 am (waking up at 3:30 am!) and arriving in Santo Domingo at 1:17 pm. The day before our arrival Kailey and Dr. Angel had driven our vehicle to the capital to be at the airport to pick up our little family circus. Ya'll... I was EXCITED. Just hours away from landing on Dominican soil... the feelings were something comparable to the first day of school jitters mixed with the excitement of Christmas morning, topped off with a sprinkle of anxiety about traveling with 3 small kids. So many things all rolled into one. And then 1:00 AM hit. Our sweet, sparkly eyed Emily woke up out of a deep sleep sicker than I have ever seen her. Everything she had eaten that day came back up and then some. Adam is still in one of the various stages of shock. The human body is amazing. That's all I can really say. We will now be leaving for the Dominican Republic TOMORROW MORNING. As I type this, all three of the kids are tucked into bed sound asleep. All of our bags are packed and loaded into the vehicles. It almost feels too good to be true. Please continue to wrap our family in prayer over the coming weeks! We will be updating soon with how the adventure (and God's grace!) unfolds. Thank you for your support! -For our transition back to the DR, smooth travels, calm children and content hearts as we re-establish life in a place that we love dearly but haven't been to in almost a year. -That we may keep our eyes focused on Christ and on the mission that He has placed on our hearts. That we may accept the things that have changed while we were gone and for the grace to move forward as a unified team. 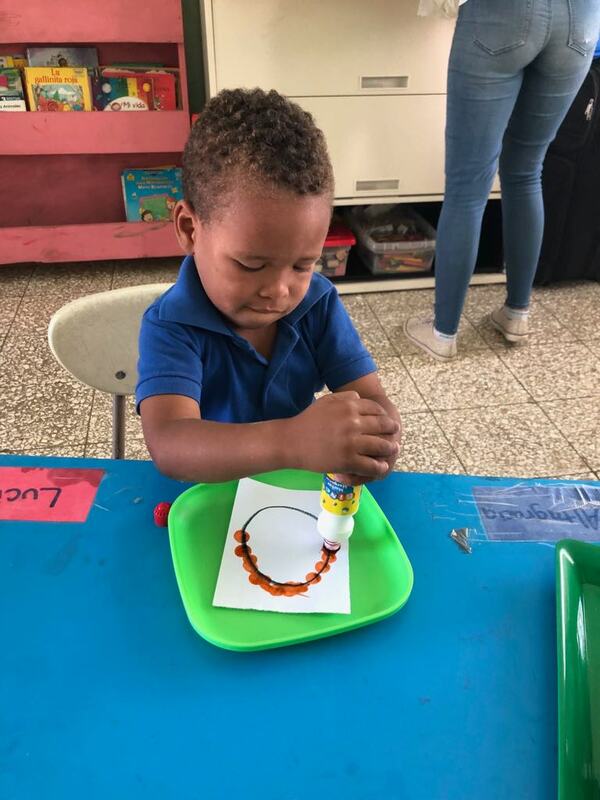 -That God would provide a solution to our need for childcare in the Dominican, providing someone trustworthy who can love on our kids while we are at work. Happy Friday everyone! We hope that this update finds you doing well and enjoying this late summer/early fall weather. We are SO EXCITED to share that our health concerns on all fronts are MUCH BETTER! Adam is completely healed from surgery. His stitches are gone and the hole on the bottom of his foot is completely healed up. Jessica is also feeling much better after her surgery, back to being mobile and picking up the kids! 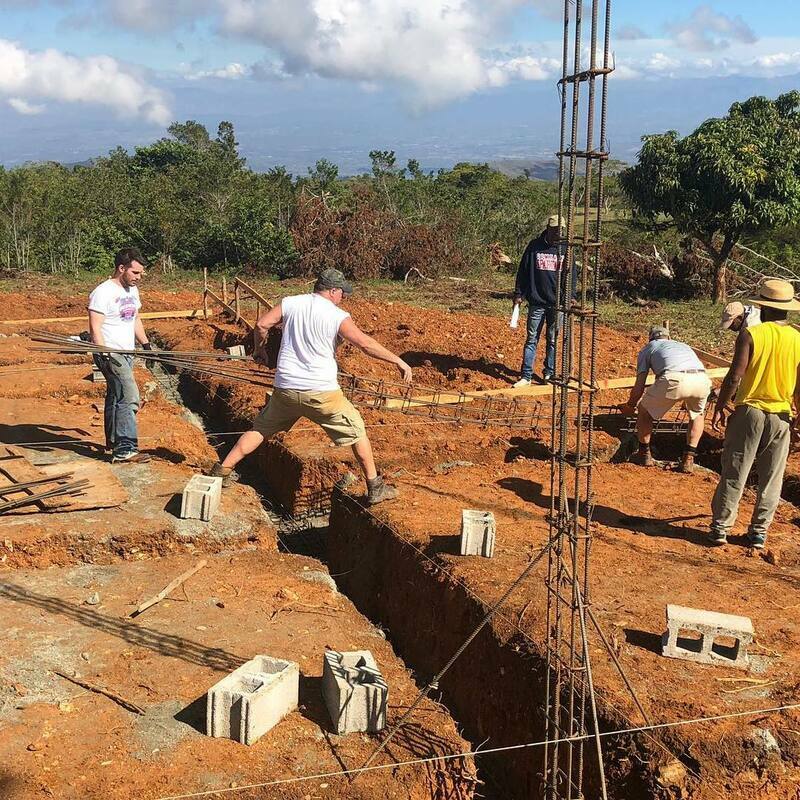 We feel so encouraged by these major improvements We are hopeful that we will be able to return to the Dominican Republic the first week of October. This trip would only be 4 weeks or so because we have a wedding and our annual BBOH auction that will be held in November. We feel that starting off with a shorter trip is a smart move so that we can ensure our health problems are resolved for the long haul. We have 3 mission teams coming down to work in October (the busiest Oct we have ever had! ), so if we are able to travel it will be a blessing to be there during that time. Since we have been Stateside, we have been brainstorming some new ways to expand the blog and create content that illustrates our mission well. One of the ways that we want to bring you "inside" the mission is by inviting former volunteers, local staff and friends to do a Guest Post. Our guests will share about their experience with a particular part or aspect of the BBOH/FUMSIL mission. Our first Guest Post is written by Rachel Hay. 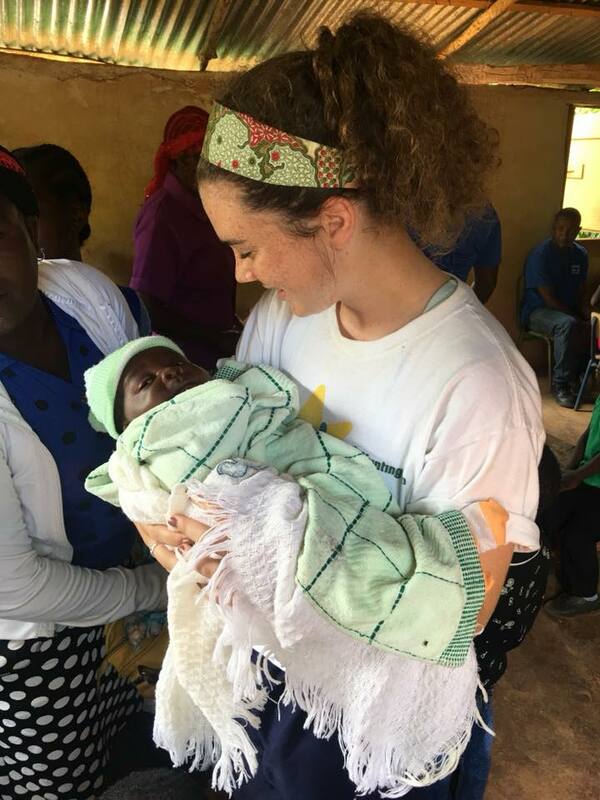 We hope you enjoy this glimpse into the experience of a BBOH volunteer and the ways that God can move through short term missions. 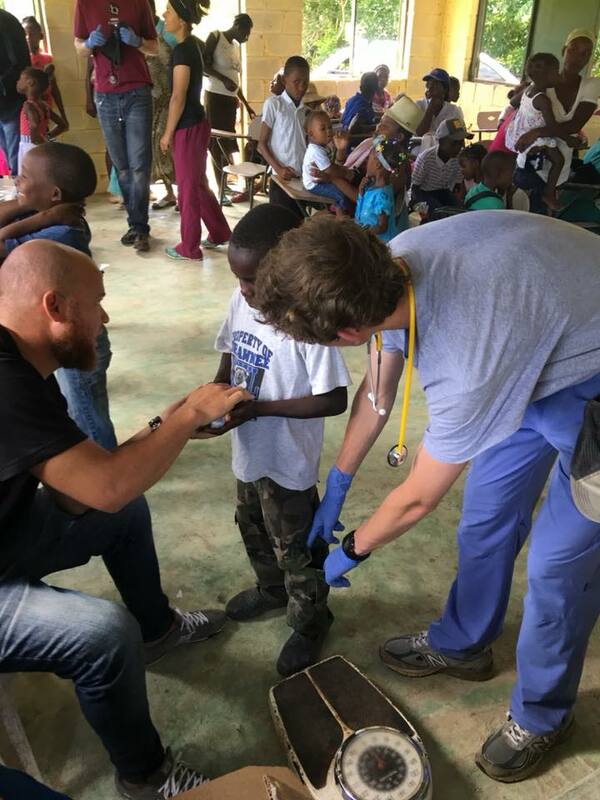 "My first international mission trip was an opportunity so intricately put together that it is almost impossible to not see God’s hand in it. He has been working on my heart and breaking down my walls for years in preparation for this experience. I used to be afraid to ever leave my small hometown. I lived a convenient life just within the tiny parameters of my comfort zone. If you would have told me three years ago that I would be doing missions in a third world country, I would have thought you were crazy! I could not have planned this on my own; God was in each step, guiding my heart and feet. He is able to do immeasurably more than anything we could ask or imagine if you will let Him. Through Building Bridges of Hope, we have the opportunity to serve remote villages that do not have any access to medical care. I knew that I would see people who were suffering, sick, neglected, and hungry. I knew that this would be difficult to see. However, what I didn’t know is the imprint that it would leave on my heart. Never again will I be able to casually walk by a situation of suffering without part of my heart breaking. But in exchange, I can step into the Father’s heart and be a vessel of His love for those around me. At one of our clinics, I stood off to the side watching the children get weighed. After one little girl stepped off the scale, her eyes locked with mine. The child walked up to me and held out her tiny arms. I knelt down to her and she instantly wrapped her arms around me. I held her there in my lap for an hour. I felt Jesus in that moment. This was not just a stranger; she was a daughter of the King. Not a word was said but at that moment, two of His daughters from completely different worlds connected. My heart was overflowing, and it changed me. There’s not a day that goes by that I don’t think about that little girl. How is it possible to have such a connection with people in another country that you’ve never met and don’t even speak your language? We are connected because we are a part of the same creation. We connect on the one thing that every person was created to need – to be loved. Love speaks every language. I think that anyone can be kind to a stranger. But what about loving a stranger? That is something that cannot be done passively. We can choose to live in our comfort zone and only make efforts when it is convenient. We can just love people who are easy to love, such as our close friends and family. But God has called us to a much higher and greater purpose than loving only those that love you back. If Jesus fully emptied himself to you, what’s keeping us from fully emptying ourselves to others?" I know that God is with us. I know that Jesus is walking alongside us, or better yet carrying us, through this season of health issues and stress. But why-oh-why do I forget that fact precisely in the moments when I need to remember it the most? Here's to making a conscious effort to live more in the spirit and less in the worries, stress and frustrations of the flesh. Today, three days AFTER the mission appeal, I am STILL blown away by the show of support for our family and for Building Bridges of Hope. The kind words, hugs and encouragement that followed each of the masses touched my heart in a way that, to be honest, I really needed. To know that people believe in us, recognize this calling, validate it and are praying that we continue to follow the Lord's leading.... WOW. It is precisely what this weary heart needed to hear. I feel more supported than ever before. And I feel empowered. In this season of what feel stagnant, God used each of your expressions of support as a confirmation that we are moving forward in right direction. That are worthy. That He will provide. I always knew in my heart that we aren't meant to go it alone. We are made for community. And I am so grateful that you are part of mine. Last week we also had the blessing of visiting Beulahland Retreats in Beulah, Michigan (near Sleeping Bear Dunes). It is a small housing unit available to pastors and missionaries for retreats. The faithful family who built the apartment are pastors at a local church and felt God tell him to minister to Christian leaders, regardless of denomination. What a beautiful ministry! We are so grateful that they responded to the call and accepted our family as visitors. We truly appreciated the opportunity to rest, pray and take in the beauty of Michigan. 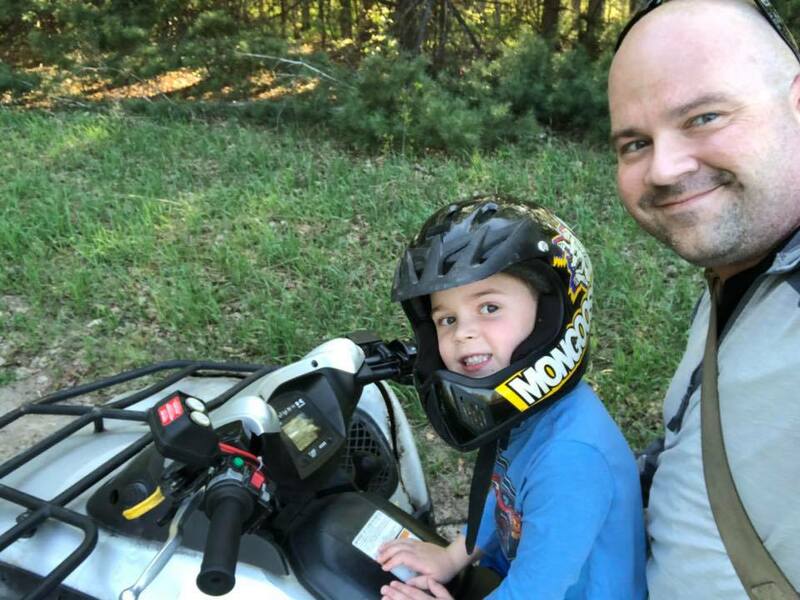 Adam and Ben jumped at the chance to take out a 4 wheeler. Adam and I went to the Sleeping Bear Dunes on our honeymoon so we knew that we wanted to take the kids there while we were so close by. It was just as beautiful as I remembered. During the retreat God spoke to me about roots. He clearly said, "Stay rooted in Me" while I was admiring the beauty of the immense trees surrounding the retreat house. While I reflected on that phrase it became clear that I hadn't been focused on my roots. Lately, I've been distracted by all of the wind tossing our branches and leaves. I've literally felt uprooted and out of place, weakened by the storms of stress and anxiety. But to weather a storm any tree must have deep roots which keep it upright and strong regardless of the powerful wind above ground. What a beautiful reminder. We are rooted in Jesus, come what may, nothing will change that. I also want to give a shoutout to Deb Read, a good friend of ours and a long-time supporter of the mission. She helped us design our family mission cards and recently gave them a facelift with our updated family photo. She also designed one for Kailey, our Medical Coordinator. THANK YOU DEB! We appreciate your time & talent!! 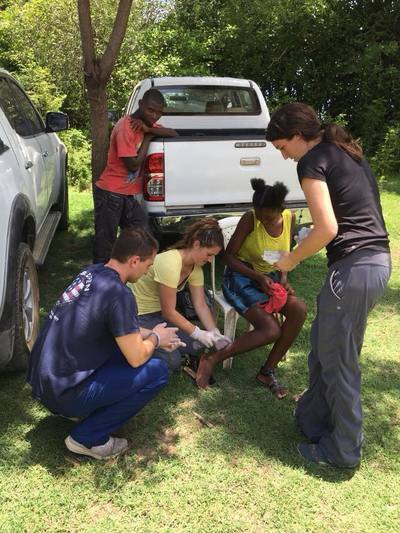 -Healing in Adam's feet, that we are all able to return to the DR on June 6. 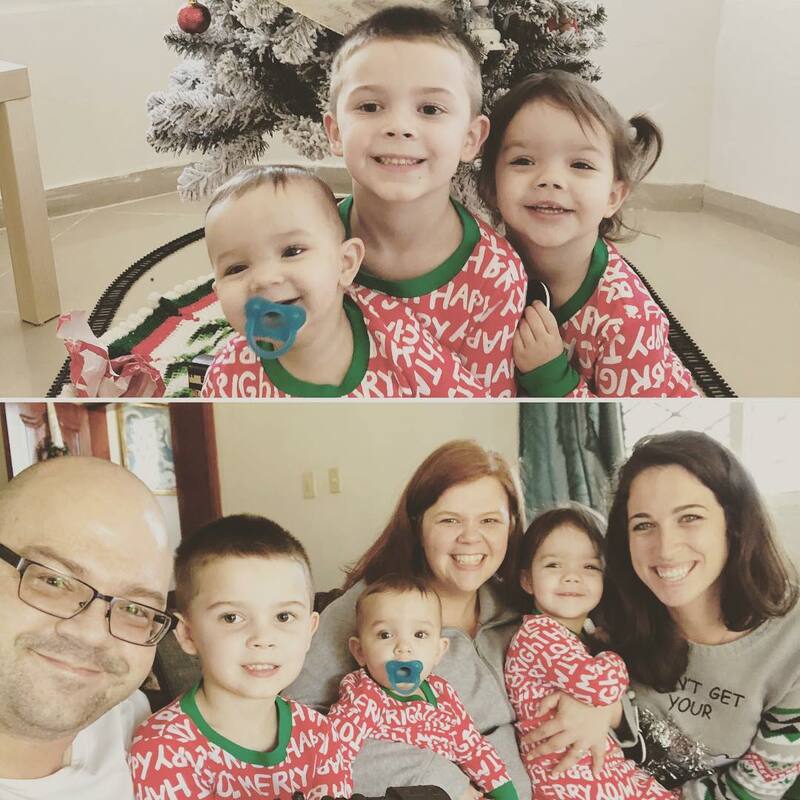 -For our kiddos as we make a transition back to the DR, at this point they are very accustomed to life in MI and I anticipate some transition pains. -For peace, strength and good health. Trusting that God has our best interests at heart. Well everyone... we're still in Michigan. One of the toughest times of our lives has been over the last 6 months. Don’t get me wrong, we’re INCREDIBLY blessed. Many other families have much tougher times than we have experienced. 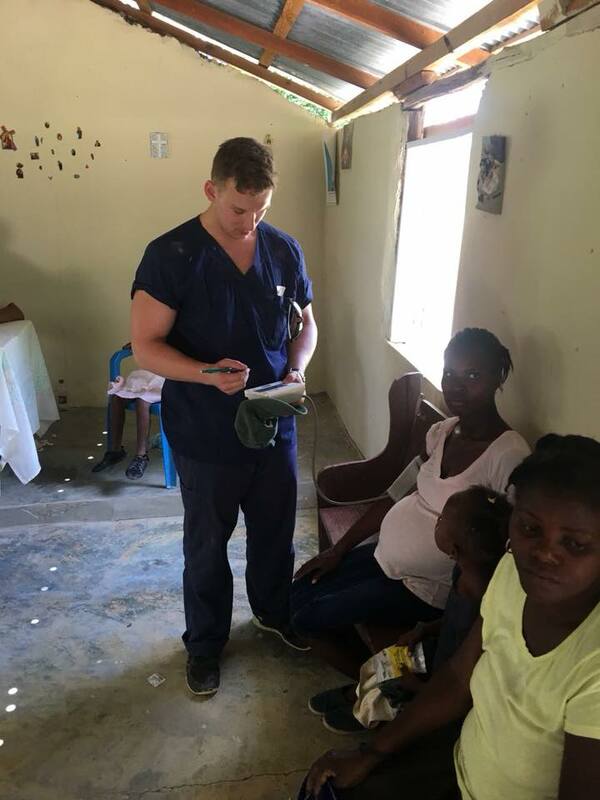 It has not been tough based on the fact that we personally are struggling, but the fact that we have so many needs to attend to in the Dominican Republic that have fallen on Kailey, our INCREDIBLE Medical Coordinator. She not only has been coordinating all things medical, but also pulling triple duty as “director” of programs as well as "volunteer coordinator" in our absence. We truly are 1000000% blessed that God has put it on her heart to help this people group through BBOH & FUMSIL. Okay.... so maybe that’s a mama raccoon... but Jess nested in her own way and I think it’s normal for expecting mothers to "nest". Same is true for husbands/fathers taking care of their family. To deny this internal drive is very difficult and takes discipline. Listening to God’s still small voice takes an immense amount of energy. Most of the time I get it wrong. This time? I believe I got it right. We weren’t supposed to go back to the DR in February. I discussed this in my last post. However, new information has come out since then that has shaped my opinion further. 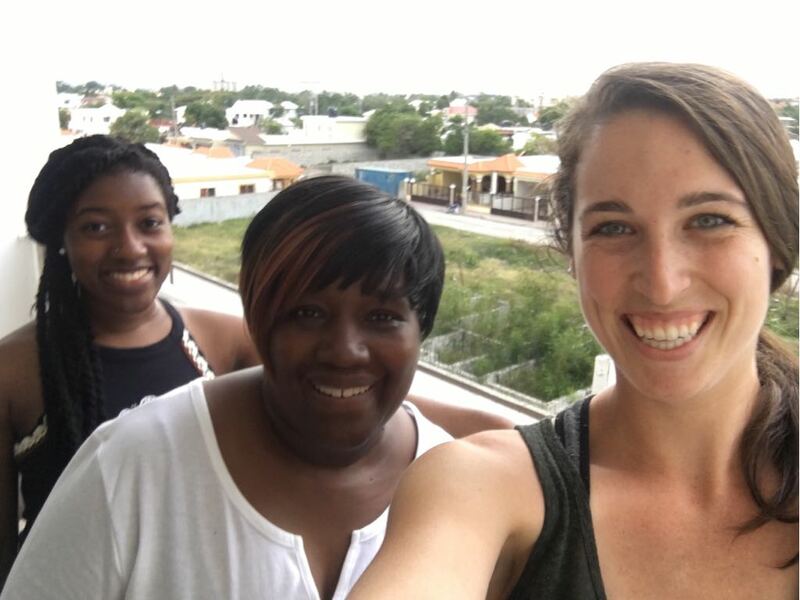 We found out that on April 20th, the Direction Of General Immigration in the Dominican Republic has changed some laws that affect us as long term missionaries. It’s still to be determined as to how it will affect us, but long story short, we may need a more formal visa or residency in order to stay in the DR for long periods of time. I won’t go into boring details about that. This does not affect others as much as ourselves in the country due to our large family and circumstances. We are in the process of investigating how as an NGO we can obtain missionary visas from the consulate and to be able to obtain them for our long term volunteers as well. God always provides when your working His mission. I believe this is part of why we are still here. The story on this is still unfolding and we'll be sure to update when we know more. A quick update on my health. Things are much better. Right foot is completely healed while the left has a slight hole still which is also getting better. We hope to be back down in the DR by June. It really is a lesson in trusting the plan. We trust that God wants what’s best for us, we accept our circumstances on blind faith. As always keep us in your prayers!! We always need them! !